To help celebrate the Nespresso's new limited edition Colombian Terroirs flavours Cauca and Santander I decided to make a coffee infused Tres Leche Cake. 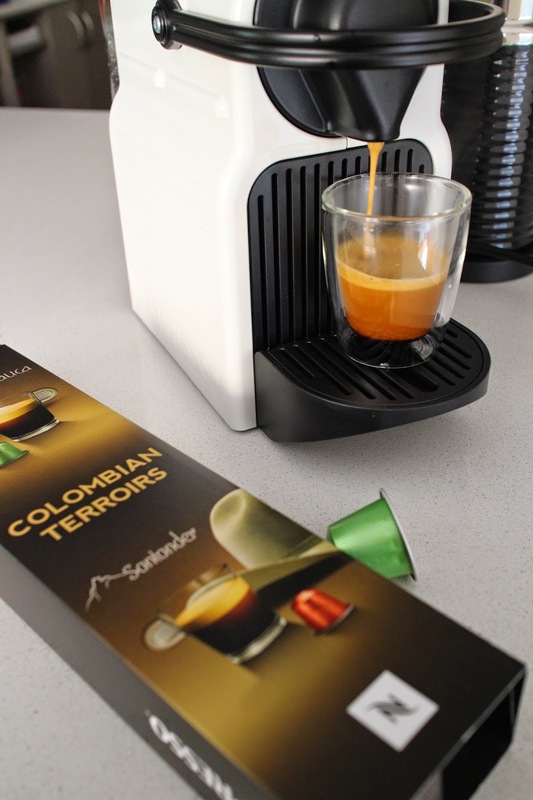 Both Cauca and Santander are from the same origin, being 100% Colombian Arabica Coffee. The Cauca (Intensity 6) is the more complex of the two flavours and is rather fruity and a little tangy, whereas the Santander (Intensity 7) is incredibly smooth and balanced with delicious caramel notes. For this reason, I decided the Santander would be the perfect addition to my Tres Leche cake. 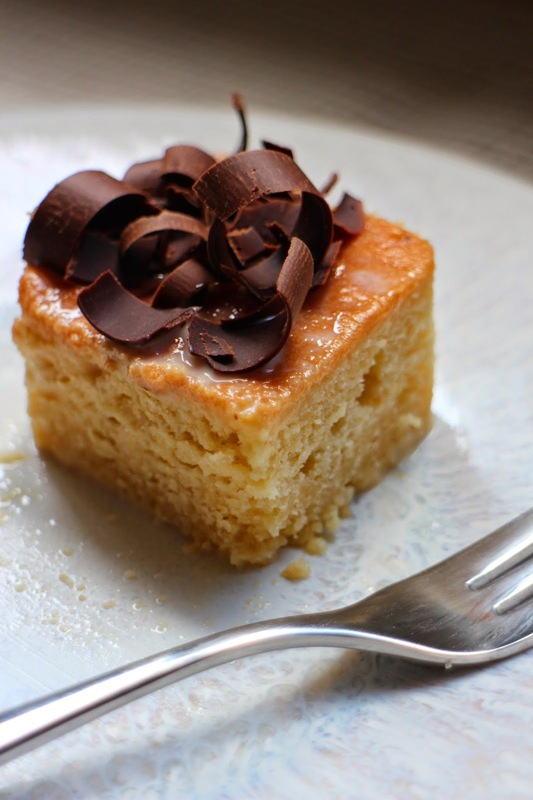 Spanish for 3 milks, the Tres Leche cake is very popular in South America. 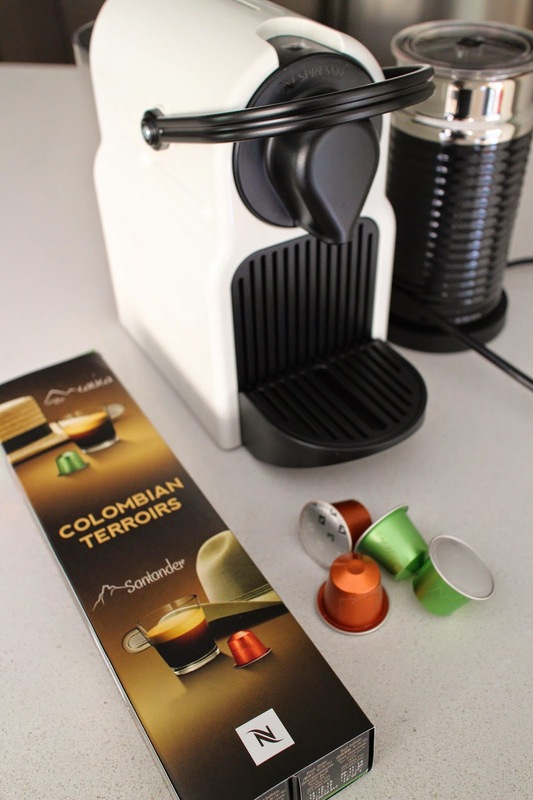 Firstly, let me just say I was very impressed with the Nespresso Inissia & Aeroccino 3. The best feature of the Inissia is that it's super easy to use, takes up little space and it looks great. This was my first time using a separate milk frothing machine and I must say the Aerroccino 3 impressed me. It is practically silent and I love the fact that you can use it to make hot or cold frothed milk, which comes in handy when I decide I want to make an iced coffee. plus 1 shot of espresso ( approximately 30ml) I used Nespresso Colombian Terroirs - Santander. Use 2 shots (60ml) if you prefer a stronger coffee flavour. Preheat oven to 180C and grease a square, 20-centimetre loose-bottomed tin. Cream butter and sugar until pale and fluffy. Add two of the eggs and half the sour cream and beat well. Add remaining two eggs and the rest of the sour cream and beat again. Add the vanilla. Sieve in the flour and bicarb and fold into the mix. Spoon into the prepared tin and bake for 25 minutes or until a skewer inserted into the middle comes out clean. 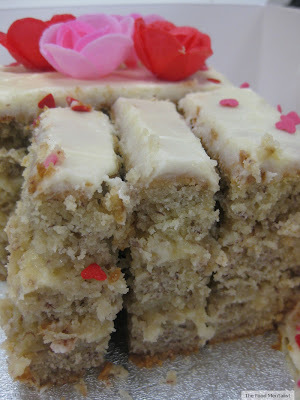 Cool on a tray until the cake is completely cool - making sure you leave it in the tin to cool. Prick the cake surface several times with a fork. Wrap base of the tin with cling-film (to contain the impending liquid fest ). 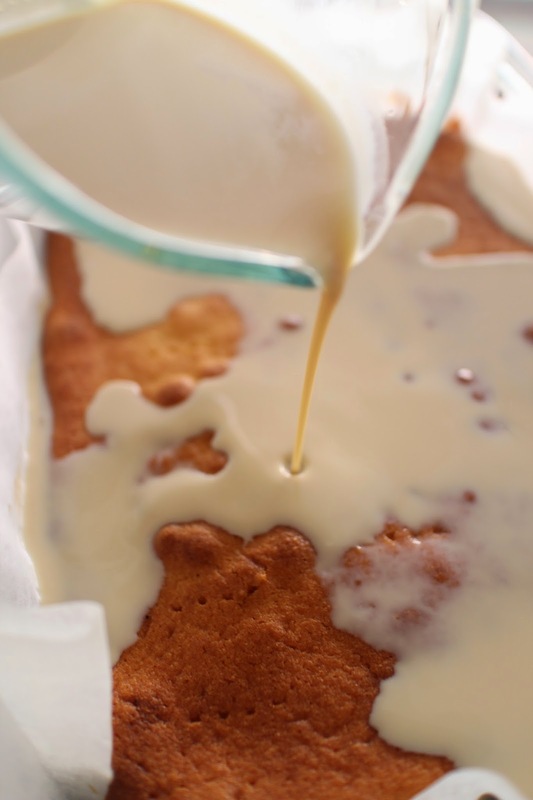 Mix the evaporated milk, condensed milk, cream and coffee in a jug, then pour it on top of the cake. Most of the liquid will just sit on the surface of the cake at this point. But never fear, this will be absorbed. Place the cake into the fridge preferably overnight but for at least 10 hours. You will find that during this time much of the milk mixture will be absorbed resulting in a beautiful moist cake. Top with chocolate shavings, shredded coconut or your choice of topping. The Food Mentalist trialled the above mentioned products compliments of Nespresso. your blog is beautiful, I liked it,,thanks for sharing!